Current physical activity guidelines endorse the notion that the recommended amount of daily physical activity can be accumulated in short bouts performed over the course of a day. Although intuitively appealing, the evidence for the efficacy of accumulated exercise is not plentiful. The purpose of this review was to compare the effects of similar amounts of exercise performed in either one continuous or two or more accumulated bouts on a range of health outcomes. Sixteen studies met the selection criteria for inclusion in the review, in which at least one outcome known to affect health was measured before and after continuous and accumulated exercise training interventions. Where improvements in cardiovascular fitness were noted, most studies reported no difference in the alterations between accumulated and continuous patterns of exercise. In the few studies where a normalization of blood pressure was observed from baseline to post-intervention, there appear to be no differences between accumulated and continuous exercise in the magnitude of this effect. For other health outcomes such as adiposity, blood lipids and psychological well-being, there is insufficient evidence to determine whether accumulated exercise is as effective as the more traditional continuous approach. Seven short-term studies in which at least one health-related outcome was measured during the 0- to 48-hour period after a single continuous bout of exercise and a number of short bouts of equivalent total duration were included in the review. Many of the studies of such short-term effects considered the plasma triglyceride response to a meal following either accumulated short or continuous bouts of exercise. 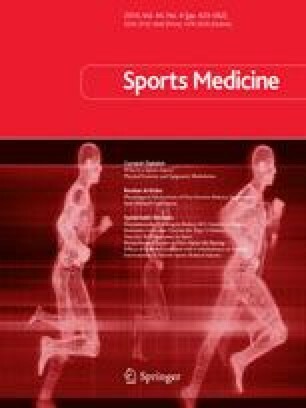 Collectively, these studies suggest that accumulated exercise may be as effective at reducing postprandial lipaemia. Further research is required to determine if even shorter bouts of accumulated exercise (<10 minutes) confer a health benefit and whether an accumulated approach to physical activity increases adherence among the sedentary population at whom this pattern of exercise is targeted. No funding was received for the preparation of this article and the authors have no conflicts of interest directly relevant to its contents.